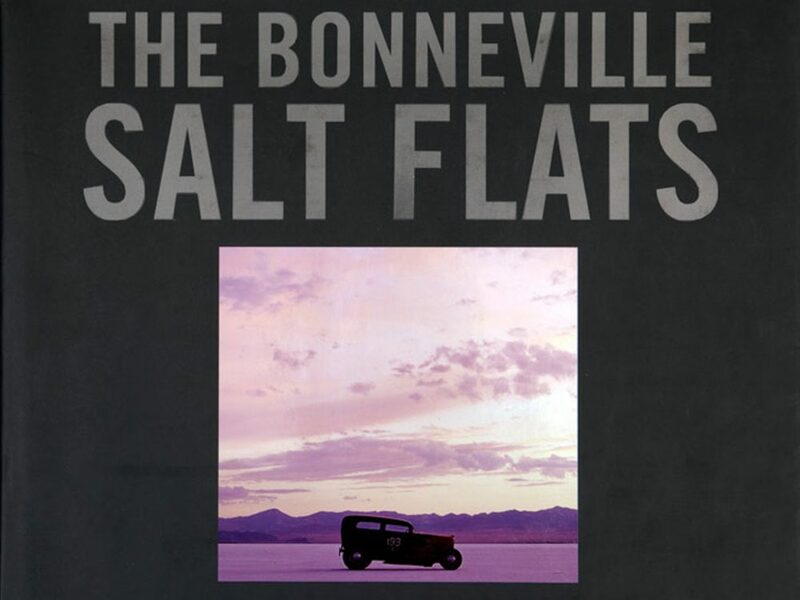 There is a place that is so barren, salty, and inhospitable that almost no life exists. It is also so straight and level that one can see the curvature of the planet. It is not, however, on another world. 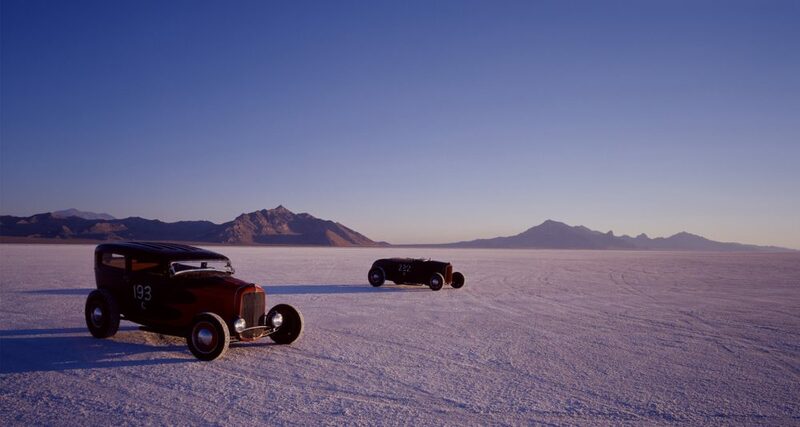 This place is Bonneville—also known as the fastest place on Earth. 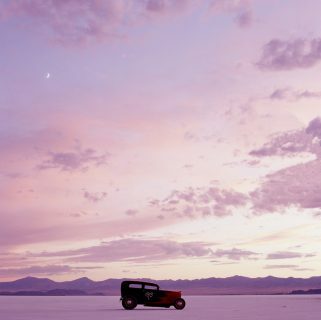 The salt flats there in Utah stretch out over 30,000 acres, where racing and land speed records has been taking place since just shortly after the invention of the automobile. 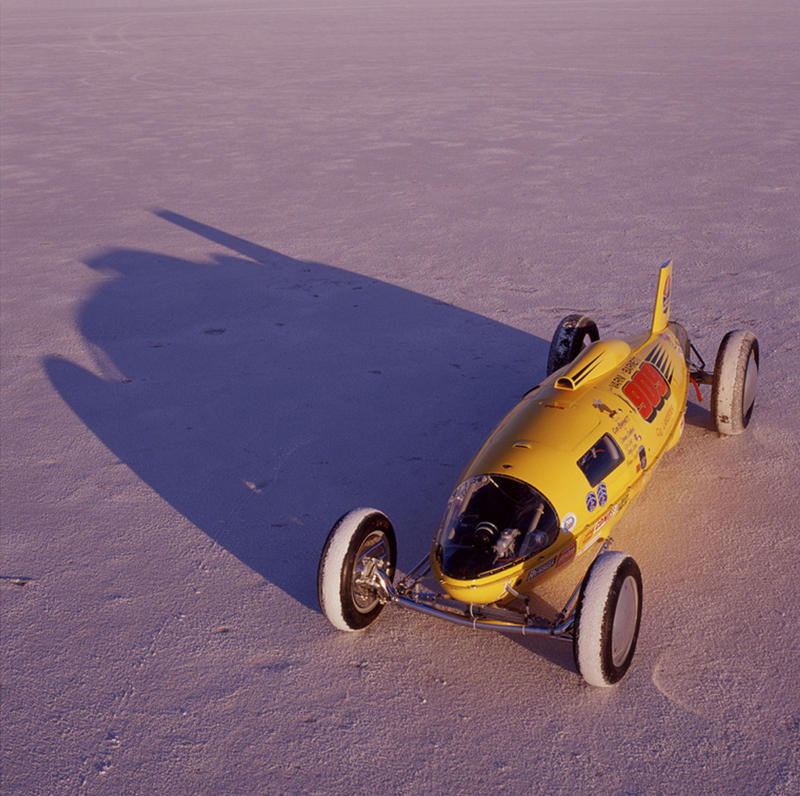 William D. “Bill” Rishel recognized that the salt flats might have the makings for a good race course. 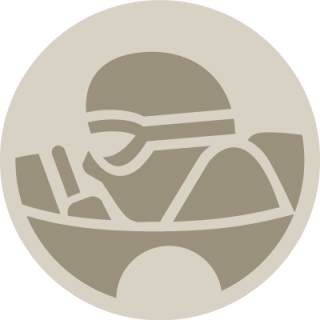 He convinced daredevil Teddy Tetzlaff of the salt flat’s potential, and after several years, Tetzlaff became one of the early pioneers of speed trials. It was another couple of decades until the full potential of Bonneville was discovered, but ever since then, speed records in hundreds of different automotive, motorcycle, and propulsion classifications have fallen. 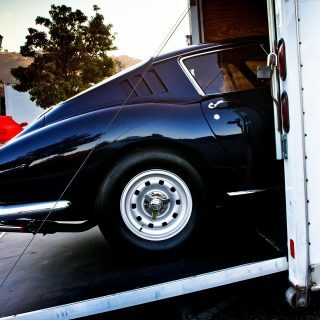 Terminal speeds of 300, 400, 500, 600 mph—and beyond—have been attained. Names such as Malcolm Campbell, Craig Breedlove, Chris Carr, Gary Gabolich, Bob Summers, John Cobb, and many others have challenged both physics, and themselves. Peter Vincent, probably the most experienced photographer of the Bonneville Salt Flats, visited this unique landscape for more than twentyyears, and The Bonneville Salt Flats: Two Decades of Photography is just a small selection of the author’s many thousands of images he captured over that time frame. 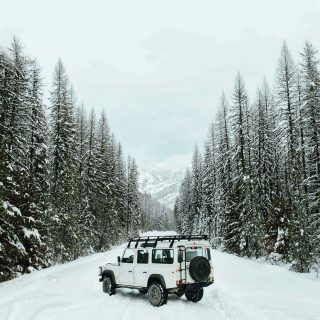 Within his lens, Vincent photographs this barren place that was seemingly tailor-made for limits to be pushed, and records broken. 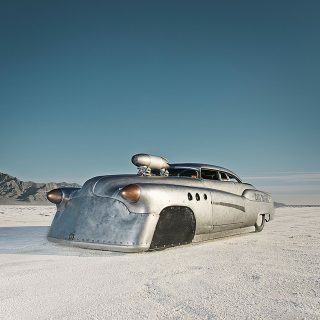 And at least once a year, during Bonneville Speed Week, the salt flats are alive with thunder. There is scant text in this large format book, just landscape photography, and portraits of men, women, and their machines—a photographic tour of America’s saltiest raceway. Vincent captures all of this in the most vivid way possible. 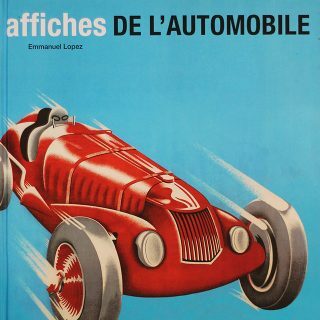 The author’s portraits of the men (and women) who pursue the land speed records are engaging, and it is this human element makes this book one of the best photographic titles I have read. The quality of Vincent’s book is superb, as the photography itself. 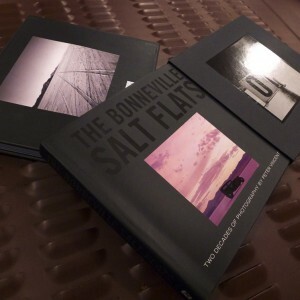 Its 272 pages are filled with the rich sense of a place: a crusty-yet-perfectly flat strip that was formed 50,000 years ago when a 45,000-square-mile sea receded in what is now western Utah, and one apparently suited for cars and bikes, and the people who drive them in pursuit of a goal. Wonderful book, and an amazing place. 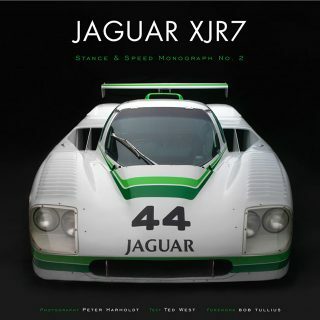 Even if its not a subject matter you’re particularly interested in : if Peter Vincent’s name is on the cover its well worth purchasing if only for the incredible photography he does .